Whether you are just an occasional exerciser or a fitness enthusiast, a gym bag is a great accessory to own. By organizing your shower, gym clothes, towel, grooming items and other necessities in a single convenient place, a sports bag makes fitting your exercise routine into your day much easier. Naturally, you’ll want to own the coolest, best men’s gym bag that you can find. Most of you will think about Nike or Adidas when thinking of sports bags. But these guys aren’t the only players in town. This review will show you the most stylish, cool training bags for men I was able to find. Gym bags must meet certain requirements that are not found in other luggage bags. Depending on how often or where the bag is to be used, it must withstand much harsher treatment than conventional traveling bags or briefcases. They often carry liquids that could spill, wet towels and clothing, and post-workout snacks. Therefore, training bags must be resistant to mold and easy to clean. Here are other considerations to make when purchasing a bag for taking to the gym. A gym bag should be large enough to accommodate all the items needed by a man at the gym, while at the same time compact enough for travelling in a car or fitting into a gym locker. You just need to make a list of all the items that you need to carry in a sports bag such as toiletries, towel, change of clothes, gloves, extra shoes and spare socks so that you can have a rough idea of the ideal size. Depending on the use you want to subject the bag to, it is advisable to go for bag of appropriate size. On the other hand, choosing a sports bag that is too darn small, is just asking for trouble. On the other hand, a bag that is too big, might not fit in the locker. Therefore, go for one that can comfortably accommodate your items, without leaving too much space. Exterior pockets provide a great means of staying organized. You are sure where to place each additional item with easy access, without interfering with the main compartment. However, don’t purchase one that has too many external pockets. It will appear bulky, while adding unnecessary weight to your shoulders. It also implies that your gym bag might be having difficulties fitting into your gym locker, because of the unnecessary external pockets. Again, you need to have a clear idea of the things that you intend to be carrying with your gym bag, and you will have a clear idea, of how many you need on the bag. Although it is not a major consideration, presence or shoulder straps, or lack thereof, can turn out to be a major decisive factor. This depends on the quantity of your luggage and your lifestyle. For example, if your leisure center is located quite a distance from your place of work or home, then you definitely need a gym bag that has shoulder straps. When the bag has been worn across your body, there is an even distribution of weight, which lessens the fatigue and strain on your arms. However, if you own a luxury car, this is not a necessary feature. In fact, it might turn out to be a health hazard, trailing behind after you have locked your car doors. In such a situation, it is advisable to go for a strapless gym bag. If you still insist on having a shoulder strap, then you need to make other considerations, including whether the strap is adjustable. The shoulder strap should also come with a shoulder pad for comfort. The pad goes a long way, preventing the strap from straining your shoulders too much. If you often encounter wet environments in the course of your workouts, then you need to consider a gym bag that comes with a water resistant bottom. Such a bag will ensure that the contents of the bag remain dry and safe. This is one of the main factors considered by the majority people who go to purchase sports bags. For extra protection and to keep the bag dry and clean, some bags are fitted with feet at the bottom. With these feet, the bag is slightly raised, minimizing chances of damaging the contents and liquid things seeping. Some training bags are designed to by fully waterproof, not just the bottom. This is a very useful feature, especially if you live in those areas where rain comes down frequently. If you are looking for a bag with waterproofing features, make sure that its specifications literally say ‘waterproof’. Water resistant is not the same as waterproof. When buying a men’s gym bag, the closure system is an important consideration. The closure system should always remain reliably shut in order to ensure your gym equipment is always protected. On the other hand, it should not be very stiff and uneasy to open. The draw-string system stands out among the most reliable closure systems. It is mostly used in smaller gym bags. It is easy to use, efficient, and easy to close and open. However, the main issue with this system is that it is mostly applied to cheaper bags that have few(er) compartments. If you want to buy a training bag that has a secure closure system to keep your gym equipment safe, then you should look out for a classic zipper can. It can prove to be a reliable choice that is both simple and easy to use, when made properly. It is also advisable to go for a sports bag with a standard buckle clip, for additional protection. When tightened, it will keep your gym equipment secure, ensuring that nothing will fall out. A magnetic closure system is another one that is commonly used on messenger bags. Apart from making the bag look stylish and trendy, magnet fastenings are an ideal way to keep your items contained. If you have been faced with a damaged suitcase during your trip, then you understand the frustrations of this. However, all of that will come to an end, thanks to this amazing duffle bag. With the Bago Foldable Duffle Bag, you don’t have to pay for overweight charges anymore or travel with a separate bag. All your items and stuff can fit easily in this spacious bag. This bag is reliable and highly versatile. You can carry it along, wherever you go. You can even fold it and stuff it inside your bag, so you can carry an extra bag with you, just in case something turns up that needs additional space. It can act as your shopping bag, your gym bag, or even your extra suitcase to avoid carrying a single overweight bag. There are certain travel suitcases that can weigh up to 3 kilos. However, this folding bag is lightweight. In fact, it weighs less than 60% of your average luggage. This implies that it will not add significantly to your additional traveling weight. With a variety of trendy colors to pick from, this bag is functional while allowing you to travel in style. Other functionalities that you can rely up in this bag include the RipStop fabric that is highly durable, high quality zipper, multiple pockets, a shoe pocket that is both odor and water resistant. And, ofcourse, double handle straps. If you live in an area where it rains or snows a lot, you need to invest in a quality, water resistant duffel bag, for carrying your items. The same case should apply to your gym bag. And the Under Armour Undeniable 3.0 is ideal for such situations. Simple, durable and effective, this gym bag for work clothes comes with all the features and qualities that you would need. It features the Under Armour Storm technology, which provides protection against the elements. Whether you encounter rain or snow, this gym bag for men will ensure that all your valuables will not become wet. This roomy gym bag comes with an abrasion-resistant and tough side and bottom panels. Therefore, even if you use this bag every day, you can rest assured that it will not fall apart any time soon. It’s designed to withstand all forms of abuse while protecting your clothes and other accessories. It comes with two hand straps, as well as an adjustable shoulder strap, thus giving you several options when it comes to carrying your items. Also, it’s equipped with a large, vented pocket, which you can use for carrying shoes or laundry. There is also an extra, large zipped pocket for storing additional items. Apart from using it as a gym bag, the Under Armour Undeniable 3.0 is also perfect for weekend camping and backpacking trips. It’s spacious enough to accommodate your items, yet small enough to carry comfortably. Carry your necessary items with the Everest Gym Bag with Wet Pocket. The bag has been crafted using polyester, making it durable and reliable. The bag also comes in different colors, that you can match with your clothing. On top of that, the bag is scuff, tear, rust, fade, scratch and stain resistant, including an exterior that is mildew resistant. For convenience, the bag has a soft-sided and solid pattern construction. A waterproof side pocket has also been included, that can be used to carry liquid bottles. The main compartment features a zippered clamshell, for carrying clothing. This sporty men’s gym bag comes with several dual front zippered pockets that can be used for keeping small items. The shoulder strap is removable and heavily padded for convenience and comfort. The external material and the lining are both made of 100% polyester, making the bag waterproof. This training bag can be used by either gender. Its main color is black, although you can find it in four different accents. It is the perfect gym bag, since it separates your clothes from your shoes, ensuring that your clothes don’t take dirt off the shoe soles. This Nike men’s fitness bag allows you to organize your gear, thanks to a bonded zip pocket and an interior divide. A PU coated bottom and a water resistant exterior fabric ensures that your items remain secure and dry. Apart from being a great gym bag, it can be used for a whole range of other purposes. The colors are stylish and the material used to make the bag is highly durable. Therefore, you can be guaranteed that this bag is going to serve you for years on end. This small gym bag for men also comes with a separator inside, which helps to keep your clothes and shoes apart. As such, you can travel with them, without having to worry about your clothes ending up with shoe dirt on them. The quality is great and the bag comes with bottom vents that allow air circulation and ventilation, so that your sweat soaked clothes don’t stink. If you like carrying foodstuff to work, then you will appreciate this bag for sure. The two interior compartments allow you to separate the two, ensuring that they don’t mix. If you like to carry around your clothes or belongings around, then you will definitely love this bag. Travel bags from 5 Cities are the ideal travel companion, whether you are going to the gym or simply going for a match. Manufactured by one of the leading luggage brands in the UK, these bags are available in a wide range of designs and styles. As such, travelers are offered a reliable and affordable way to see the world, without coming up short in the traveling comfort department. This incredible travel bag offers exceptional versatility. It can be used as a sports bag, cabin bag, or even a weekend bag, due to its special design. Additionally, it is one of the lightest gym bags to carry around. This bag has a large capacity, to carry all your weekend needs. On the other hand, it is small enough to comfortably fit inside the trunk of a car. It can accommodate 2 pairs of shoes, toiletries, 1 large towel, 4 skirts, or 8 shirts. For convenience, when carrying the bag, it has been fitted with an adjustable shoulder strap and two carry handles. It comes with two side pockets, allowing you to store your valuables, such as an audio player, passport, or other things. The smooth and robust heavy duty zippers located on the main body, can be locked using a padlock, to secure your items. This duffel bag is the perfect companion for the athlete who is always on the move. It is a multi-purpose bag, which offers loads of value. It is available in different sizes, such as medium, small and large. On top of that, you can find it different colors, allowing you to choose the one that matches your preferences. Whether you are heading to a weekend college game, or simply going to the gym, this gym bag for men is versatile enough, to meet all those demands. It comes with one major compartment that is zippered. Other additions include a key fob and mesh valuables pocket. The end cap of this fitness bag has been designed with freshPAK antimicrobial material. This compartment can be used to store the shoes, ensuring that the bad odor is separated from the rest of your items. A mesh panel ensures that your gym clothes are adequately ventilated, to keep away moisture and dampness from the bag. The front pocket is easy to access, making it very suitable for those items that you need quick access to, such as a smartphone. This multipurpose shoulder bag comes with two large zippered compartments and small inner pouches. Each zipper has been fitted with a plastic pull on, allowing you to easily grip it. The larger, zippered compartment can comfortably accommodate a bottle or even a tablet. The smaller, zippered compartments can accommodate items such as purse keys, phone, diabetes supplies, first aid gear, a power bank, a camera, and business cards. The construction is quality and lightweight, as well as strong, versatile and sturdy. The material is not easy to scratch. It is water resistant and high quality. This gym bag for men is stylish, fashionable and comes in a practical design. The back and strap are adequately padded, providing you with very welcome comfort levels when you are on the road. There is a little clip cord running across the fore pockets, for adding security and stability on top of the zippered pockets. This bag can be used as a shoulder bag or a chest strap. You can wear it any way you like. Its strap is adjustable, fitting both regular sized as well as a plus sized person. It is fashionable and is of good quality. It comes in attractive, vibrant colors. It is a casual bag, which allows you to keep your hands free. The usual bulk that is associated with normal backpacks is a thing of the past. It can be used for outdoor sports, climbing, running, bike riding, vacations and hiking or other similar outdoor activities. Head off to team practice or to the gym with this great nike gym bag. It features a roomy compartment and a U-shaped opening to allow for easy access to your gear. The VELCRO brand and multiple zippered closure pockets ensure that your small items are always close at hand and organized. It also comes with a pocket that can be used to store wet items, or shoes. The pockets are sufficient to carry around everything that you need. The construction is great and the bag is lightweight. It allows you to stuff enough items in there as you possibly can, while at the same time keeping the weight minimal. The Nike Brasilia 6 Duffel Bag is available in different colors that you can easily be combined with your favorite shoes. It is perfect for different forms of casual travel as well as gym goers. The material used is polyester fabric, featuring a printed bottom panel. It has a classic shape, padded shoulder strap and two top carry handles. The shoulder strap is well padded to prevent stress and fatigue in your shoulders. This is especially important when hauling heavy items. You can use this bag to store socks, shirts, underwear and four pairs of shorts, which is perfect for a gym aficionado. Made of quality polyester, this gym bag from PUMA features a side pocket, zipper closure, ventilated side pocket, removable padded strap and top carry handle that comes with a velcro closure. Also included is a pouch size interior pocket located on the interior side of the main compartment, to be used for the storage of small items. This bag is spacious enough to transport all your gear to and from the gym with ease. On top of that, it is very versatile and the construction is impeccable. The shoulder strap is padded and removable, to give you a number of options in how you want to carry your items. Its design and compact size is something that most people will appreciate in this fine men’s fitness bag. It includes four different compartments, in case you need separating your items such as shoes and clothing. It is lightweight and can be used to carry a towel, tracksuit set, toiletries and other gym essentials. All these items can fit inside the bag comfortably, once you are done with your gym session. The outer shell of this PUMA Men’s Teamsport Formation 20 Inch Duffel Bag is highly durable. Whether you are a gym rat or you just visit occasionally, you will need a durable gym bag, which is roomy and functional enough to carry your gear. That gym bag is none other than the Adidas Diablo Duffel Bag. This gym bag for clean and dirty clothes is made of 100% polyester. As much as this material might appear thin and lightweight, this gym bag will serve you for many years. Polyester is a sturdy material, which doesn’t get torn easily. You will be surprised to note that this gym bag will even last longer than options that are more expensive. Adidas has equipped this gym bag with a strong zipper, designed to withhold pressure and tension. You can open and close it as many times as you want, and it will always function seamlessly. The Adidas Diablo Duffel Bag comes with a shoulder strap, as well as two additional hand straps. The shoulder strap is sturdy enough to support your items. Also, you can adjust it to suit your preferences. As much as this bag is not as big as others out there, it will serve its purpose perfectly. You can use it for a quick trip to your local gym or for international travels, as a carry-on bag. You can also use this Adidas gym bag for cycling gear, basketball, dance, martial arts, and camping. Its compact size makes it easy to fit into most locker rooms. Its main compartment opens wide, making it easy to pack your stuff. If you are looking for a compact, durable, stylish gym bag, then this one should be perfect for your needs. The S-ZONE Oversized Canvas Leather Weekend Bag features top quality, soft canvas leather trim for an added touch of durability. It has a large main pocket that can hold extra daily necessities and clothes. The pouch pocket on the main compartment can be used to secure your wallet and a phone, while the small front pocket can be used for carrying small things. The bag is heavy duty and properly constructed. The stitching is well done, ensuring that the bag can carry heavy items, without being ripped apart under the sheer weight. Whether you are going for a weekend walk, or simply a stroll out of town, this bag will accommodate everything you need for the trip. It can fit a pair of shoes, four jeans, a warm and light hoodie, four shirts, one pair of shorts, a laptop and five tshirts. Easily. And even when you’ve got all that stuff in there, the bag can still accommodate many other items, such as toiletries. Weighing less than 1kg, the weight of the bag allows you to carry as heavy a load as possible. The handle, zips and straps are very sturdy. The bag is as durable as it it is chic. If you are looking for an ultra-spacious gym bag, which will keep all your gear in one place, then the CrossLandy Canvas Gym Bag is just what you need. You can use this gym bag to carry all your essentials. It’s made of sturdy canvas material, making it durable enough for everyday use. 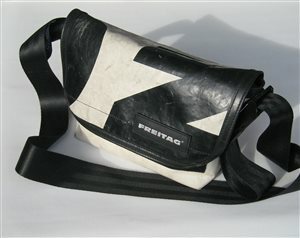 It also features a front micro-leather flap, making it both stylish and functional. You can also use this gym bag for travel or martial arts, depending on your needs. It comes with a grab handle, which is adequately padded. Therefore, the straps will not exert too much tension or pressure on your hands. It also features an adjustable shoulder strap. The shoulder strap is also padded, to ensure comfort whenever you are carrying your items with this bag. You can always remove the shoulder strap whenever you don’t need it. The main compartment opens wide, making it easy to pack your stuff. This gym bag for men comes with two extra compartments on the sides, as well as a micro-fiber compartment on the front. You can use the side pockets for carrying your tablet, water bottle, or umbrella. Whether you are going on a business trip, a climbing trip, an overnight camping trip or a fishing trip, this gym bag is versatile for a wide range of activities. It also comes with enough space to pack all your clothes, gym gear as well as travel accessories. This bag is part of the OGIO innovations series. It remains one of the most versatile and properly constructed gym bags today. Just like its name suggests, this bag is not only designed to fit in a conventional locker, but to function like a locker, too. It comes with space for all your needs. The shelves or compartments inside this bag will separate your shoes and clothes, while the external and internal pockets provide storage space for your smaller items. You can even store your tennis racket inside this bag and still leave extra space for other items. If you are a serious athlete looking for an all-round gym bag, then you should seriously consider this one. The main compartment is vented, to allow adequate circulation of air to the shoe compartment. This keeps your bag fresh and free from bad odors. A custom interior lining keeps your items dry, even if you happen to encounter a light shower on your way to the gym. It also includes a front zippered pocket that can be used to store wallets, keys and other valuables. The shoulder strap is adjustable. On top of that, it is padded to minimize the strain on your shoulders. The Sports Travel Duffel bag is a super durable gym bag, designed for daily gym usage, air travel, sports activities, and camping expeditions. It’s made of a water-resistant material, which means that it will protect your valuables from any form of moisture. A combination of sturdy polyester and strong nylon makes it resistant to wear and tear. The company has further used durable SBS metal zippers for all its pockets. Therefore, you will not experience any issues with the zippers. Also, the straps are equally strong and sturdy, making this bag perfect for traveling, and sports activities. If you are looking for a gym bag for basketball, cycling or martial arts, you cannot go wrong with this one. With a storage capacity of 45 L, this bag comes with enough room for all your travel-related accessories. Apart from the main compartment, it also features a side compartment, which you can use to store wet stuff. There is also an additional side compartment for shoes, a mesh pocket for storing water bottles, as well as several internal compartments for storing personal effects. Are you looking for a gym bag for clean and dirty clothes? If yes, then you already have a solution. This gym bag comes with a ventilated, side-zipped compartment. You can use this compartment to separate clean and dry clothes. Besides that, there is a waterproof material on the side pockets, which means you can use this gym bag to carry wet clothes. You can either use the hand straps or the shoulder straps when carrying this bag. And since the shoulder strap is adjustable, you can always wear it to your preferred length. Also, the shoulder strap comes with a pad, which makes it comfortable to carry this bag, without pressure or pain on your neck. This small gym bag for men is made using 600-denier, DWR-treated polyester, in combination with tarpaulin, to provide durability. Its bottom panel is coated with PU for abrasion and water resistance. Adjustable HeatGear shoulder straps ensure that you will remain cool, even carrying this bag around in high temperatures. The DWR finish helps to repel water, while at the same time retaining breathability. The main compartment can accommodate two pairs of men’s size 11 shoes, while still leaving plenty of space to pack a towel, water bottle, and an extra set of clothes. Although the bottom appears soft, it is sturdy and durable enough, to withstand wear experienced on concrete floors. The color is great, allowing you to match it with the rest of your outfit comfortably. Time to kick your suitcase to the curb. This duffle bag is spacious enough to accommodate all of your traveling items. It is lightweight and ideal for short people. The padding inside the shoulder strap, allows you to adjust the strap length to fit your height. If you are looking for a durable gym bag, then you will not be disappointed by the quality construction of this Under Armour duffle.